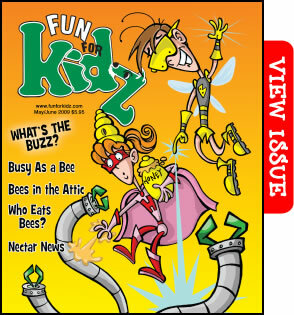 Today when I came home from work and opened my mailbox, I discovered my contributor copy of FUN FOR KIDZ magazine. I had totally forgotten I’d even wrote those articles for that issue! Thinking back, my oldest wasn’t reading when I wrote them three years ago. So it was an unexpected surprise to find him sitting on the couch, reading the magazine and learning from something that I wrote. Last week I had a friend I’d met in Korea (she’s now working in the Netherlands) come visit me. We had thought her trip wouldn’t work out but in the end it did! The next thing I knew, she was flying out to Orlando to visit! We had a blast together catching up and riding all the roller coasters at Disney. Then tonight, I kind of had a big breakthrough on my current writing project. I’m trying out some new things with this book and it’s kind of scary and overwhelming, but at the same time I’m learning so much from the process. And I love creating a new and fresh story. So how about you? What brings a smile to your face today? This morning, before I got out of bed, my cat jumped up on the bed and ran across my stomach. The baby kicked back at the cat. LOL that made me smile! Have a great day! What wonderful surprises! And what a good feeling for you to watch your child read your published work! I had a pretty great day too. My oldest son played in his first middle school basketball game, and also got 100% on his constitution test. Plus I got a request for a full and a request to tweak a poem for a magazine! Tina- Wow! What an amazing time for you! Kim- Chocolate always brings me a smile. Kelly- There is something rewarding about our kids doing well, isn’t there? And congrads on your full and the poem request. Yeah! How exciting to get your contributor copy. And I’m sort of jealous of you being so close to Disney world. Congrats on your publication. Isn’t it wild to think we can FORGET about something upcoming? I’ve had it happen too. Seeing your child reading it is icing on the cake! Thanks guys on the congrats! It is fun. And yes, Marcia. It’s WILD that I totally forgot about it. I’ve been so focused on my novel that I’ve totally forgotten my upcoming magazine publications.